Today, 20th July, is Gregor Mendel‘s birthday*. And we are excited to see the new research developments in tree breeding and genomics – and the attention being paid to mechanical properties as a key aspect of wood quality (rather than just wood density). 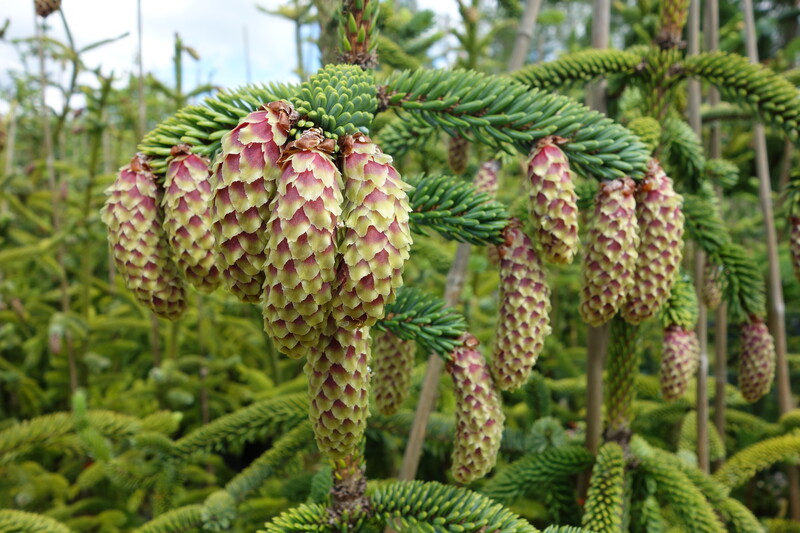 One of the advantages of spruce for the UK is the short rotation time – the number of years it takes to get to a useful size for harvest. Forestry, tree selection and tree breeding advances have been aiming for faster growth – but this does not always have good consequences for timber quality. Trees grow wood according to their own interests, not ours – but researchers think that things we are interested in are influenced by the tree’s genetics and that there is scope for improvement via selective breeding …so long as we know what we are looking for. But even though spruce grows fast – it doesn’t grow anything like as fast as peas – so tree breeding is a very slow process. However – this looks like it is about to get a turbo boost with the “Sitka spruced” research initiative. Using a technique called ‘genomic selection’, researchers from the Universities of Oxford and Edinburgh and Forest Research, hope to accurately identify, at a very early age, fast growing trees with superior timber quality. The project will scan hundreds of trees for variations in their DNA and then match those variations with fast-growing trees that produce superior timber. This will enable scientists to screen the DNA of the trees, to identify the fastest growing, with the best quality timber. Key to this is getting data on those mechanical properties – particularly stiffness…especially of the juvenile core – and we’ll be there to lend our support if they need it. Genomics is not Genetic Modification – its just about being about to better see the genetic variation that occurs naturally within a species. The same technology could potentially be used to screen trees for other things such as resistance to diseases, pests, climate change – and even just poor sites. Whatever is done, the trees still need to be successful trees and still survive in the forest for years.